The best thing about having a van is being able to just “get up and go” with minimal planning. Being in San Francisco, there is so much proximity to awesome wilderness and nature. I never get tired of picking a direction and setting out. 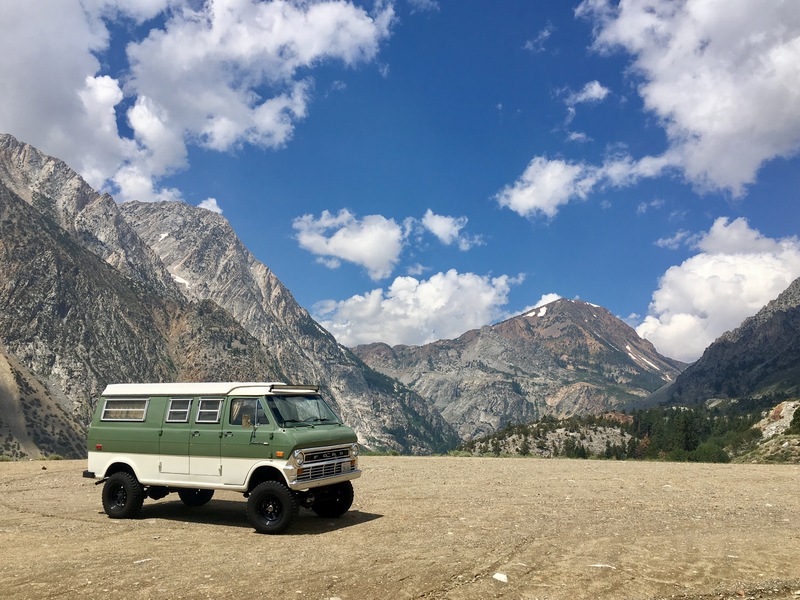 Once I had the new top complete I decided to take it out for a weekend trip to the Sierra’s to break it in. Being the tailend of the summer, I knew most campsites would be booked, so I decided to head to the Eastern Sierra’s to June Lake. 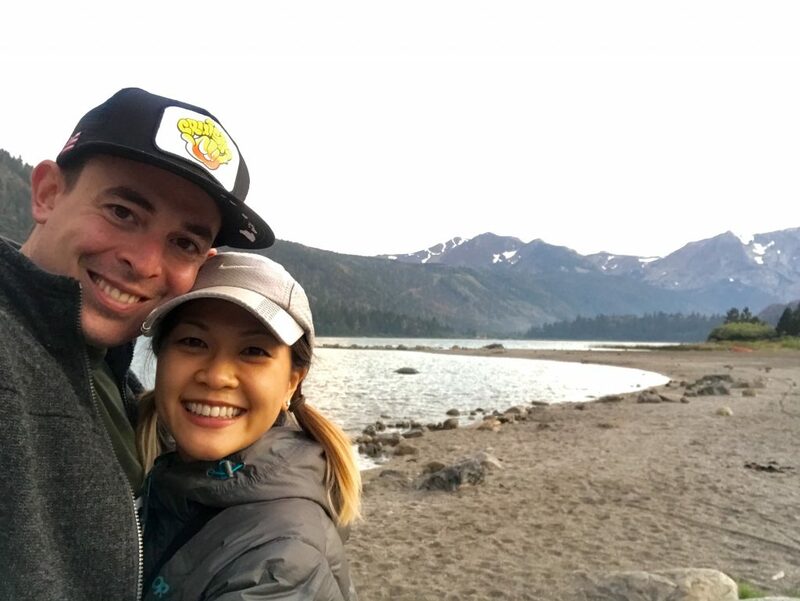 Just out of reach for most weekend warriors, June Lake is due East of Yosemite and offers beautiful views, great hiking, and less people. June Lake itself is at around 7,600 feet, and to get there you need to take the 120 through Yosemite up and over the Tioga Pass. The 250 mile drive is one of my favorites, passing Tuolumne Meadows and almost cresting 10,000 feet at the summit – 9,943 feet to be exact. The van had run well on its 500 mile trip back from Palm Springs so I had confidence it could make the trip. 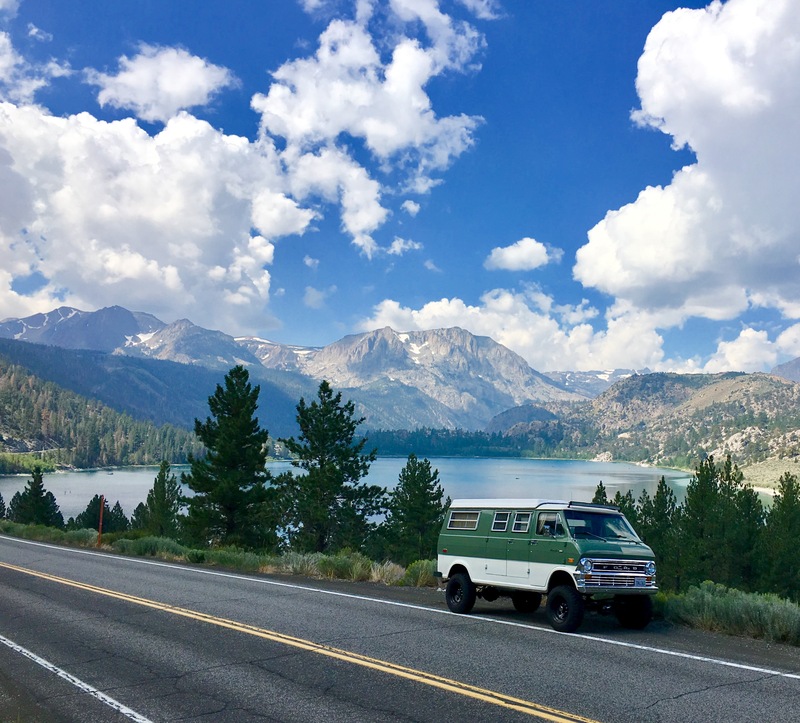 But in the back of my mind I remembered the last time I was at June Lake with the CandyVan: I ended up breaking down on the Sonora Pass and needing a $3,000 tow. That was quite the adventure! Everything was going smooth until we hit Olmsted Point on the 120. Olmsted Point is a viewing area at about 8,300 feet with great views of Tenaya Canyon and Half Dome. Almost as soon as we pulled in the skies opened up and it started to rain. This made it a quick stop so we jumped back in the van and turned the key . . . nothing. The rain started to come down hard and my heart sunk harder. I thought it might be the battery which had given me some trouble previously so luckily I had a booster. After a quick jump we were back on the road but my nerves were definitely on edge as we passed over the summit of Tioga. Coming down the back side of the Tioga Pass is a pretty extreme road with steep mountains on one side and severe drop-off on the other. The rain was pouring down and at one point on the drive we encountered some falling rocks skipping across the road. Not a good sign. I stayed focused on the drive and made it down just as the rain started to let up. 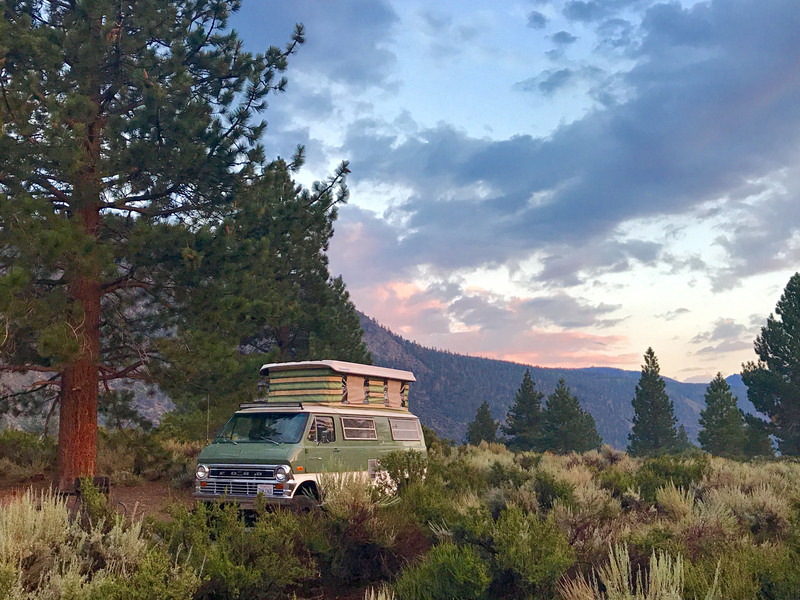 The weather improved further as we got into June Lake and found an amazing campsite all to ourselves. We walked down to the lake to find the water warm enough to swim! After a nervous final 50 miles we set up camp and were treated to a beautiful sunset as we roasted some fresh corn on the fire. The next morning I knew the van would be a little cranky starting up but did not truly appreciate the effect of elevation on a carbureted engine. The van would start and immediately stall due to running too rich. It took a good 30 minutes of black smoke to get the motor warmed up and running smoothly before we were able to start off. 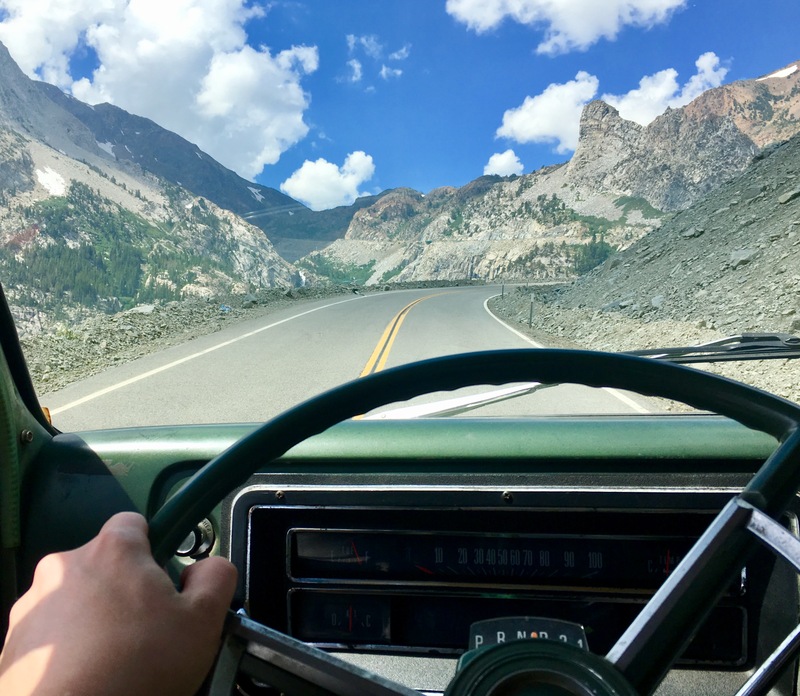 After the previous day’s drive I was quite concerned about getting up the steep Tioga Pass to get home. Slow and steady wins the race as we putted up Tioga. As we neared the summit the van was on the verge of stalling so I bypassed the stopped traffic at the gate. I shouted to the Ranger’s “If I stop I stall!” and they waived me through. With a big sigh of relief we continued on . . . for a few more miles until the van completely cut out in traffic by Tuolumne. I jumped out to push as Jen steered us off the road. Now what? Turns out my battery terminal had popped off so it was an easy fix. I did say this was a shakedown right? The rest of the drive home was easy going. I was proud of the 808van for making the trip even with the hiccups, that’s just part of the adventure. I definitely will be upgrading to electronic fuel injection in the future. 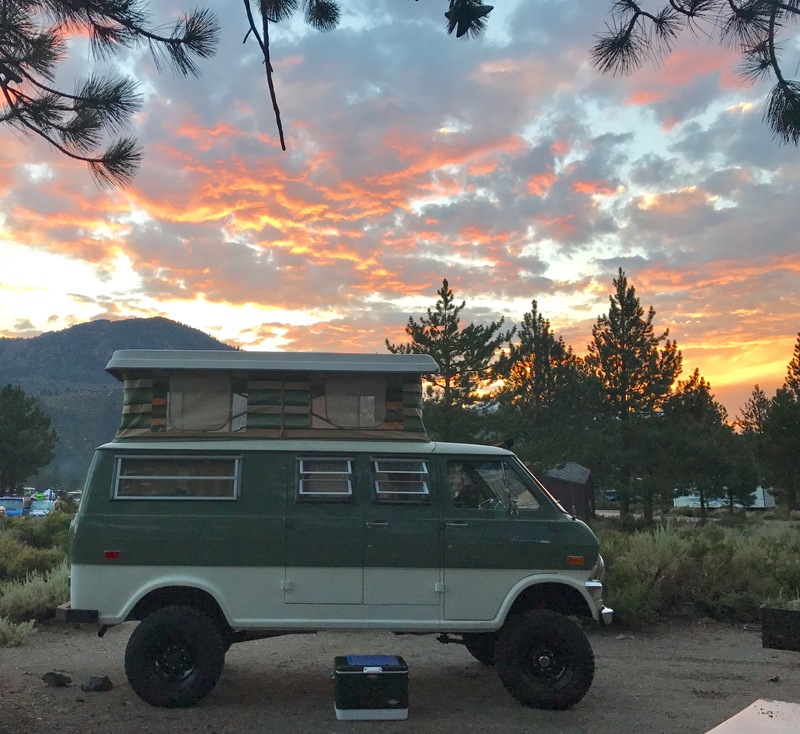 The first real weekend trip in the books for the 808van and it did not disappoint! Van has gone a long way. Hello I am Dwaynes father, I perched it from a friend who was closing a estate in Minnesota. It was his wife’s father and it had been in the barn for 9 or 10 years. 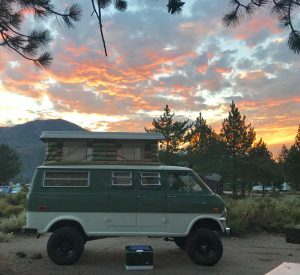 He was the original owner, bought it new and had the conversion done. My friend approached me on selling van. It took me a few months to work out the deal. I had it shipped to me in Washington state started getting it road ready and drove it for a short time. Got a lot of thumbs up when driving. I contacted Dwayne to see if he wanted it and so there it ended up. You take care of her.